Hilo International Airport or (ITO) is served by two runways. This is the smaller of the two airports on the Island of Hawaii. There is a passenger terminal, including commuter facilities at the southern edge of Hilo International Airport. The Airport is located on the east side of the Big Island of Hawaii. It is served by interisland airlines. 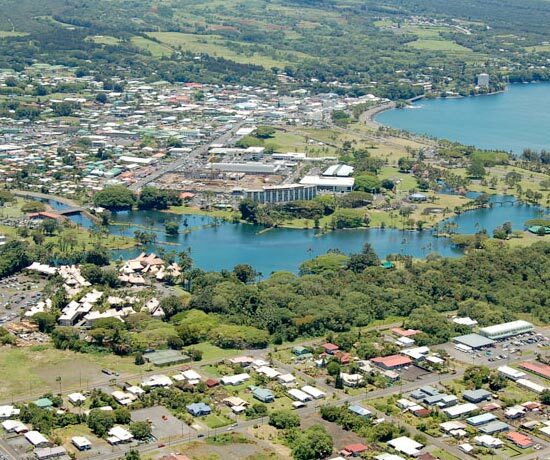 The city of Hilo is located on the southeast shore of the Big Island. Very tropical and lush, this area receives ample rainfall. The locals will say there is "nothing to do here", but don't be fooled. This quiet community offers relaxation for those wishing a more traditional visit to Hawaii. Those visitors who prefer a bed and breakfasts will find many to choose from in Hilo. There are great restaurants, large farmers' market, and black lava shores in the city. 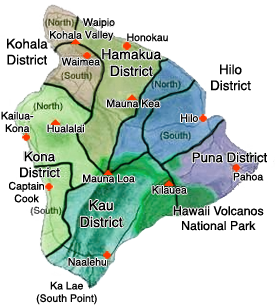 Within a half hour's drive are wonderful places to explore including Rainbow Falls, Nani Mau Gardens, The Lyman Museum, Hawaii Tropical Botanical Garden, Liliuokalani Japanese Garden and Volcanoes National Park.